Passages to the Past: we have a date for the future Karleen Koen release!!! we have a date for the future Karleen Koen release!!! I am SUPER stoked to see that Amazon has the release date for the future Karleen Koen novel, titled Before Versailles: A Novel of Louis XIV , slated for release on June 28, 2011. I can't wait to see what the cover will look like...her others are all so wonderful! This fourth novel, Before Versailles , is one I've been trying to write for a long time. But the story was too large, and I gave up, breaking a piece of the tale away to use in Dark Angels . Then I realized I had to break the whole story into smaller pieces. Before Versailles is one of the pieces, the largest one. So here it is, a young and handsome Louis XIV, who was the rock star/politician of the 17th century. But there was a before. 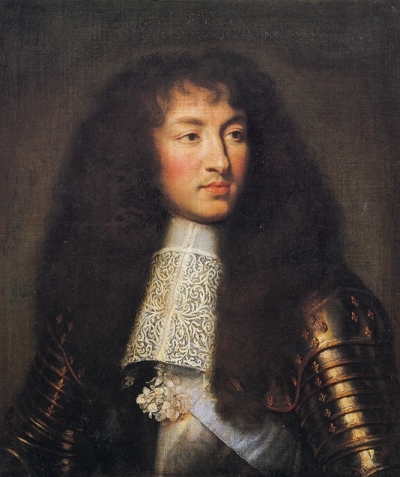 In 1661, when he was 22, his prime minister and mentor died. Louis discovered that he might be king of France, but he wasn't the most powerful man in the kingdom. Someone else was. And an unexpected love affair brought him to the brink of a scandal that threatened the fragile peace within his court. All of the above is true and interesting to me. So I threw in a boy in the iron mask and played with some secrets historians are still guessing about. The Tamworths aren't in this one, but a thread of this story––yet another piece–– will be in the next book, and so will Alice and Richard. So, are you doing the happy dance like me? Wow, I'm psyched to read this! So excited for her new book! I absolutely LOVE her 'Dark Angels' series and find her writing style has such an enjoyable uniqueness. Definitely doing the happy dance here! Awesome! I read Dark Angels and LOVED it and I have the other 2 but haven't been able to get to them yet. Can't wait!